Apollo 11 Launches Into Space! 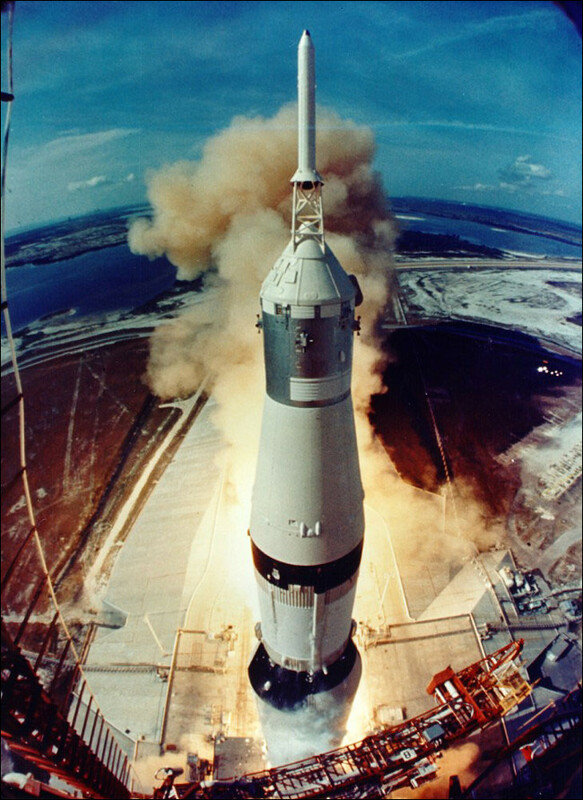 45 years ago today, the Apollo 11 mission began with the launch of the Saturn V rocket at 9:32 AM EDT on July 16th, 1969. The 4 day journey to the Moon was the result of decades of engineering, problem solving, and team work from tens of thousands of NASA employees. The work of those scientists, engineers, astronauts and other employees still inspires our passion and curiosity around technology to this day.